I love February! It’s such a sweet month, and the last day (3 out of 4 years) is my birthday. So I try to make a suitable something every year. Anticipating this year’s make, I picked up Girl Charlee’s ‘LOVE’ knit jersey during the Thanksgiving sales. It comes in a white/red colorway as well, but I really like this gray/black combo. More subtle, if that’s possible with this print – and it’s very playful. I’ve worn it twice already this month and received nice comments each time. 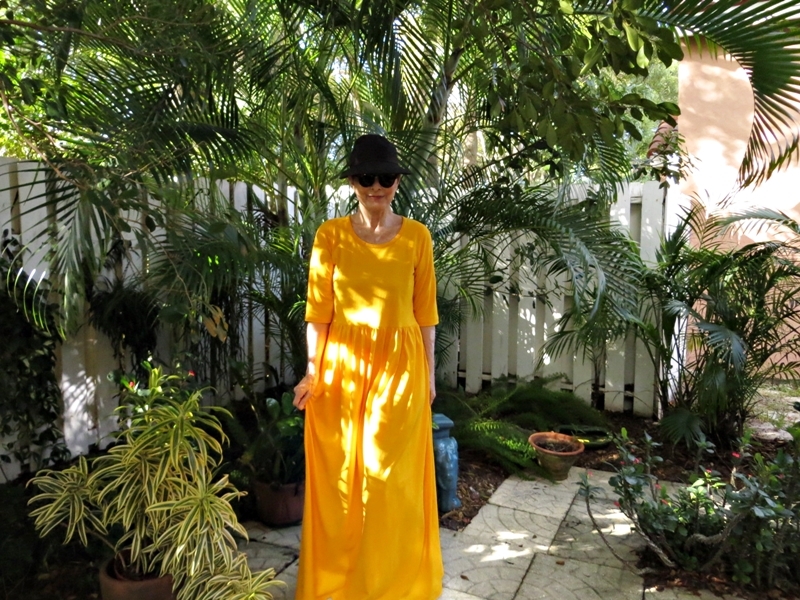 The dress is my version of the Dixie DIY Ballet Dress, i.e., the top from the pattern and a length of fabric for the skirt. 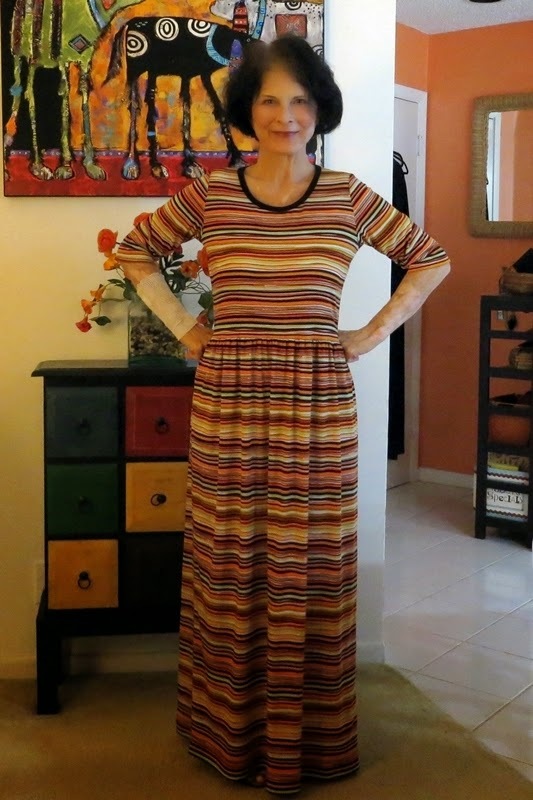 Lazy me, but the width of a most knit fabrics work great for my skirt without any shaping. 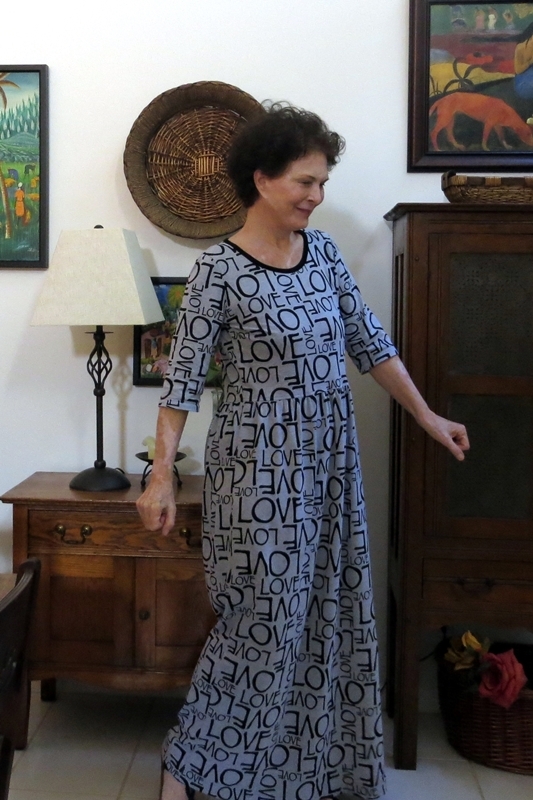 The neckline binding is black rayon jersey – I thought it would look strangely speckled if done in the main fabric. This cotton/poly fabric, which is branded under Girl Charlee’s own name, is light to mid-weight (7.5 – 8 oz.) and is easy to sew and wear. It has a nice amount of width-wise stretch without being ‘spongy’ or clingy. 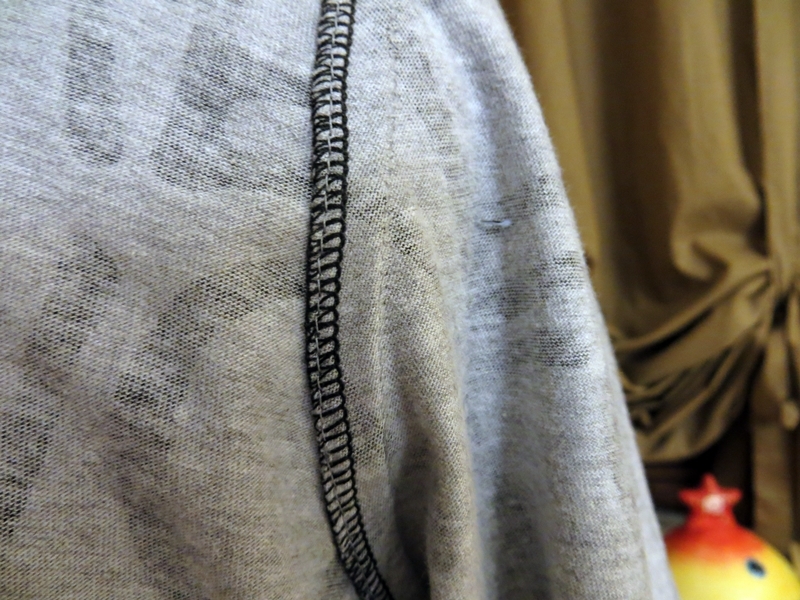 I like to serge/cut my armhole seams together, and then let the fabric tell me what to do with the seam. 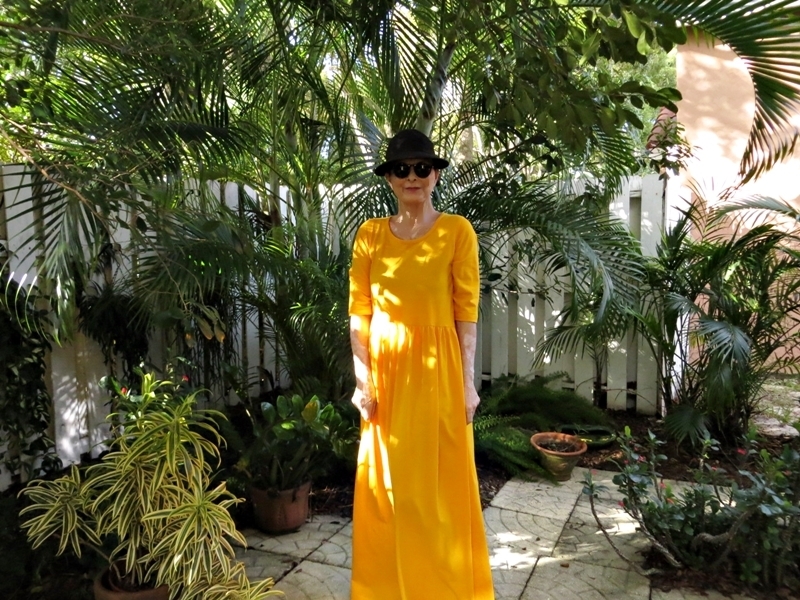 On this dress, I pressed the seam in, towards the bodice, and topstitched it. Some fabrics want to go the other way, towards the sleeve. There’s a recurring discussion of the ‘which direction for seams’ question on Pattern Review, and not just for sleeves, but for any seam. I go with the flow unless there’s a compelling design reason to use a particular approach. Fun project. But now I’m stuck. I’ve had three serious wadders already this year, all with new patterns. And I’ve no idea what I want to do next. This happens once in a while, so I’m knitting while I wait for that lightning bolt moment. I decided to learn how to knit socks. Those skinny double-point needles have always intimidated me – but I’ve done 7 socks now, none of which are matching, and I’m getting good at it! I’ve been indulging in some favorite patterns this month. 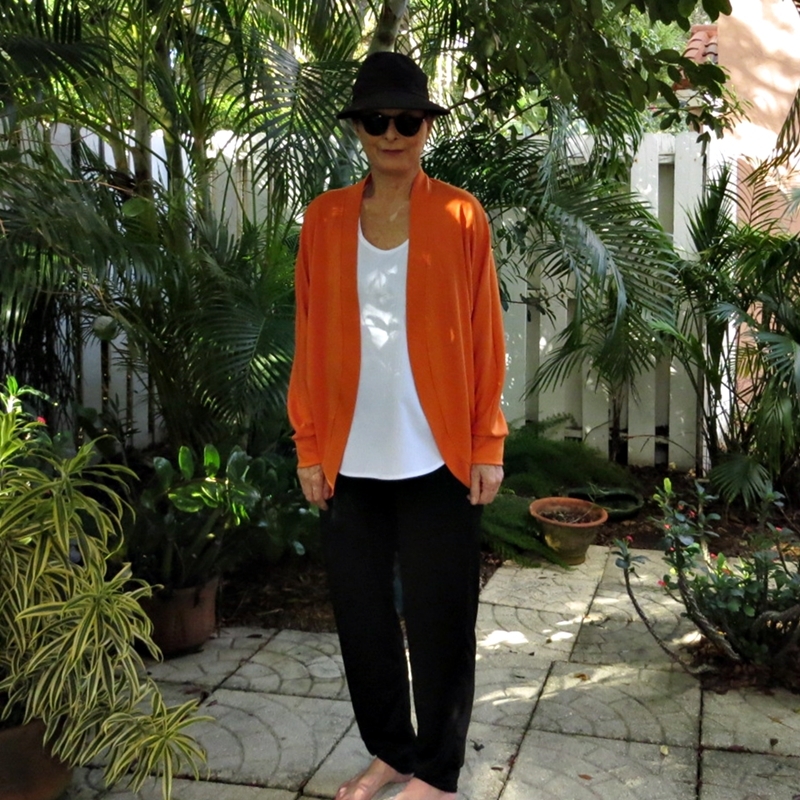 And 2 of my favorite colors – marigold and orange. Given my color preferences, I sure live in the right place. This is the Dixie DIY Ballet Dress, first made last year in a small stripe. Love love the neckline and sleeves. As with my first one, the bodice and sleeves are the only parts I used from the pattern. 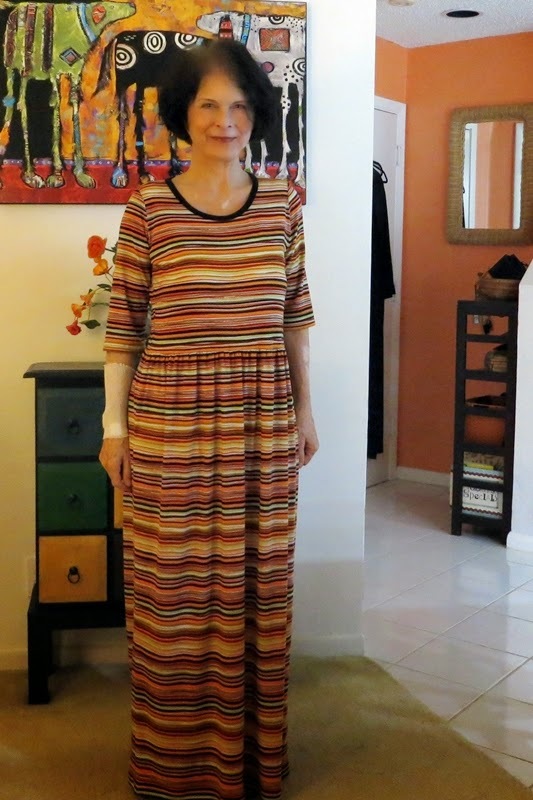 For the skirt I used a rectangle, cut across the fabric width and 43″ long. 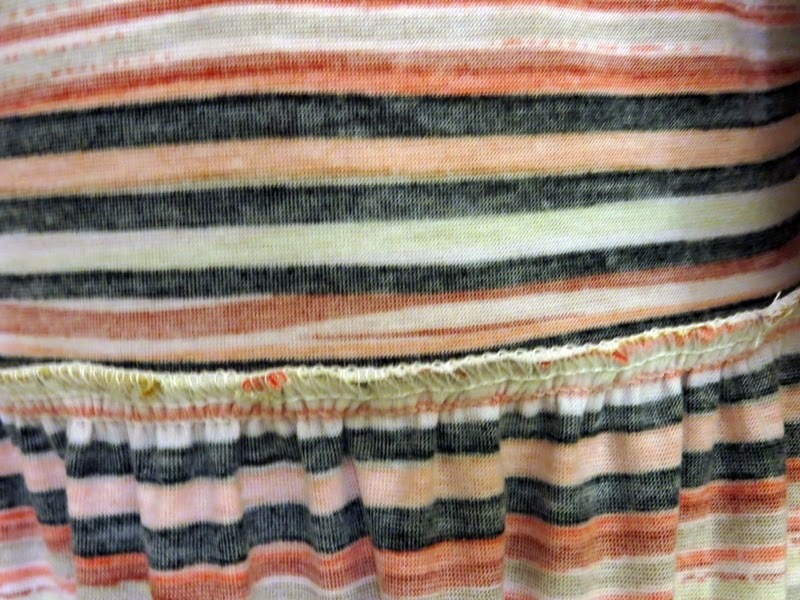 This fabric, a cotton jersey from Girl Charlee, is very soft and drapes nicely, so the rectangle approach works great. 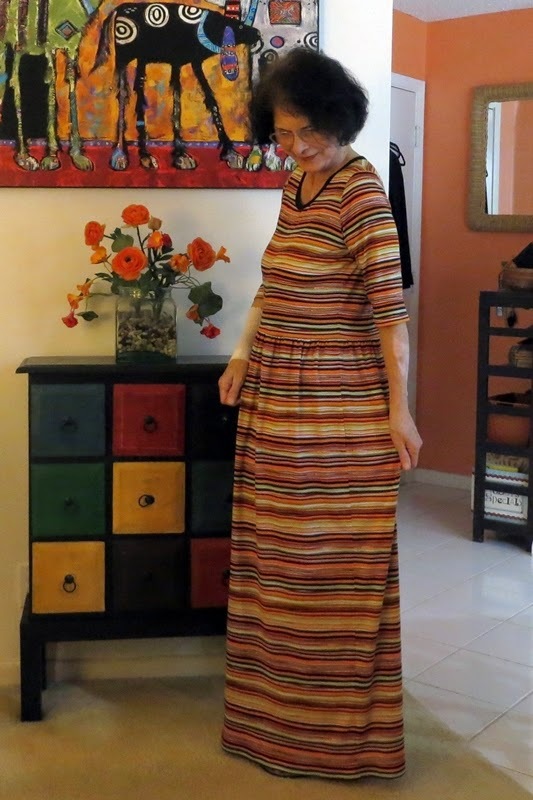 If I were using a heavier knit, like a ponte di roma, I think I’d use the original skirt. 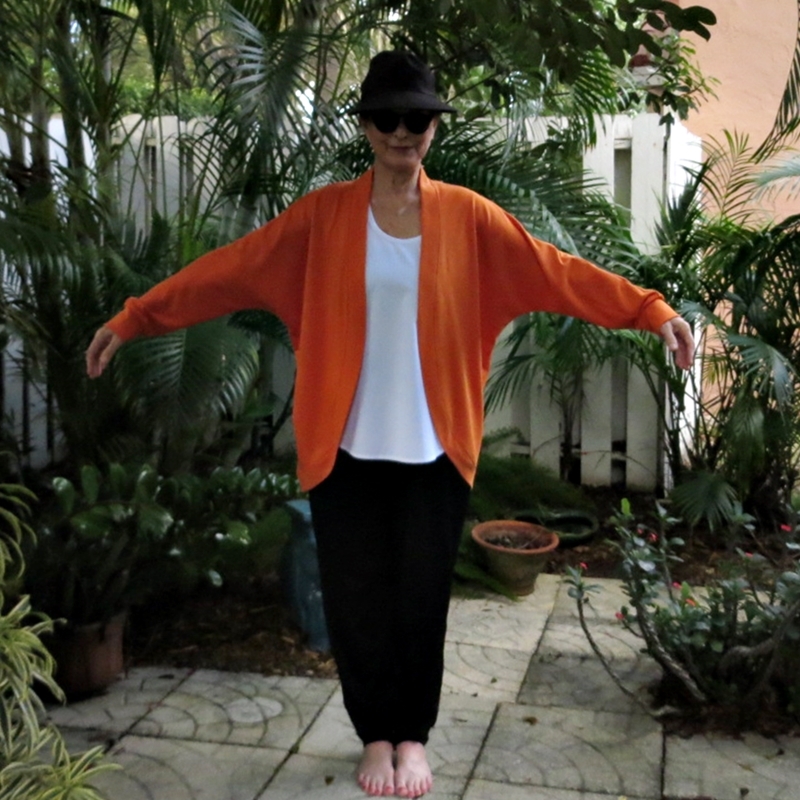 A late-breaking favorite this year has been the Jalie Cocoon Cardigan. 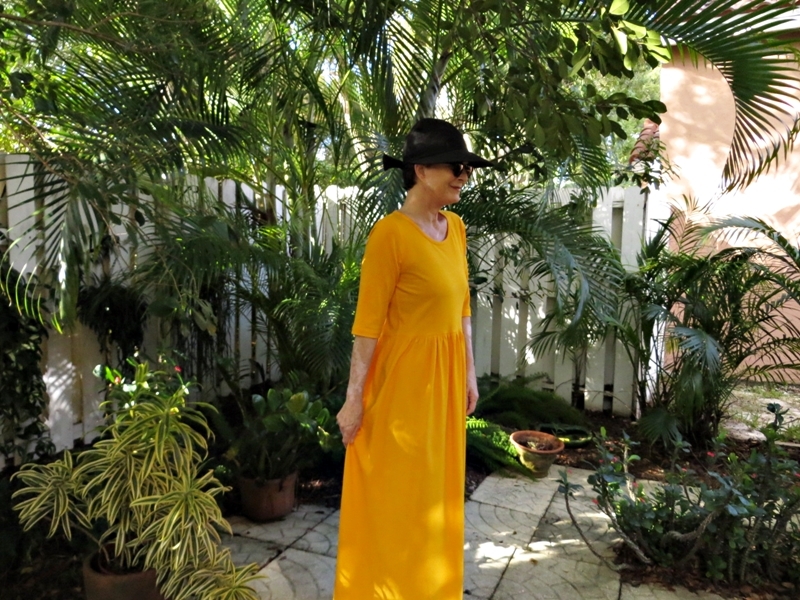 My first (not counting two muslins) was done in a fairly heavy ponte de roma from Fabric Mart. This Girl Charlee ponte de roma is much lighter but still stable enough to work well with this cocoon. 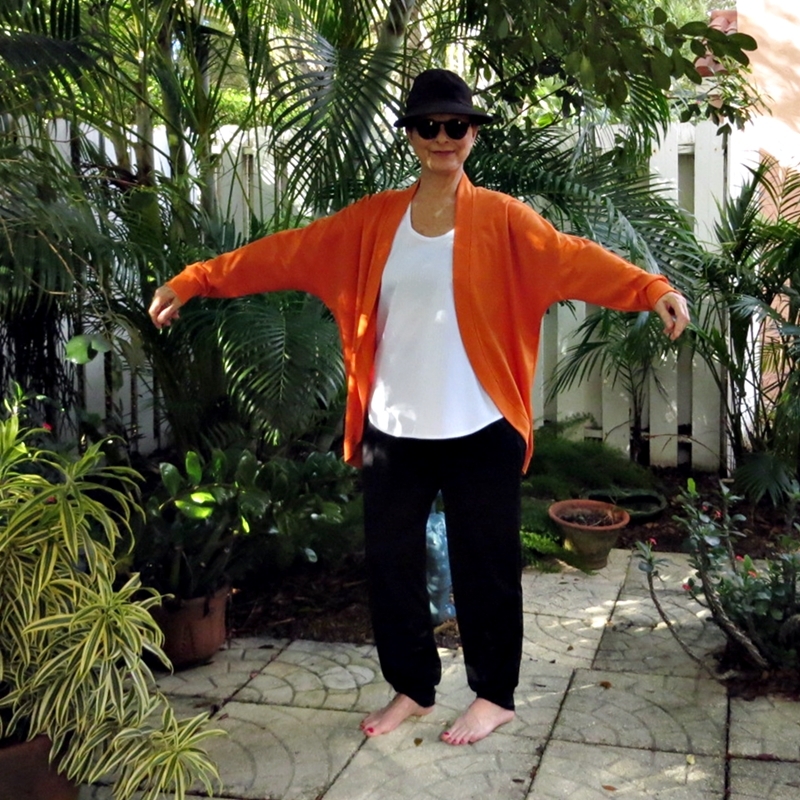 Great pattern, my favorite cardi ever! 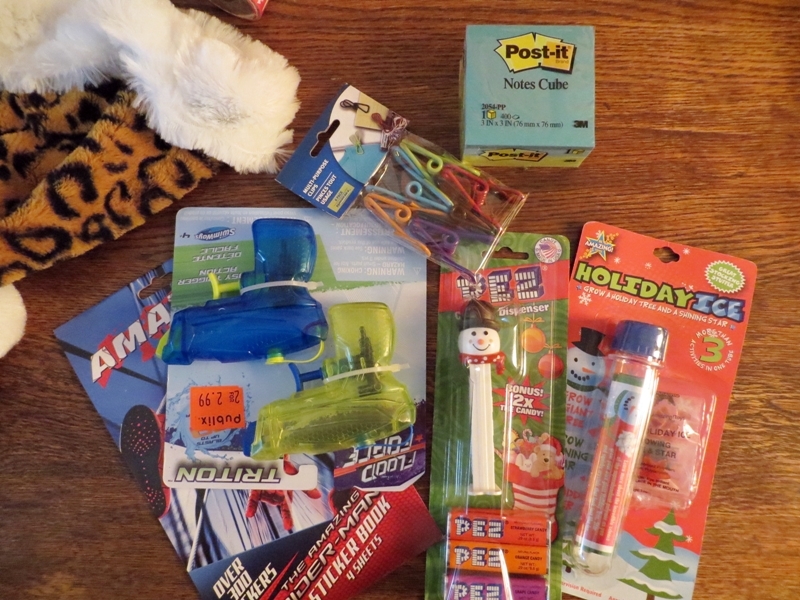 So, today I’m going to finish up my grandson’s Christmas gifts and actually wrap things ahead of my trip on Friday. I’ve found that with little ones, quantity really matters! I think P. , who’s almost 7, will have fun leaving post-it notes on the fridge. And squirting Archie the pup and anything else that moves. Of course he probably already has a squirt gun, I’ve given him several. But undoubtedly he needs more for water wars in the pool. 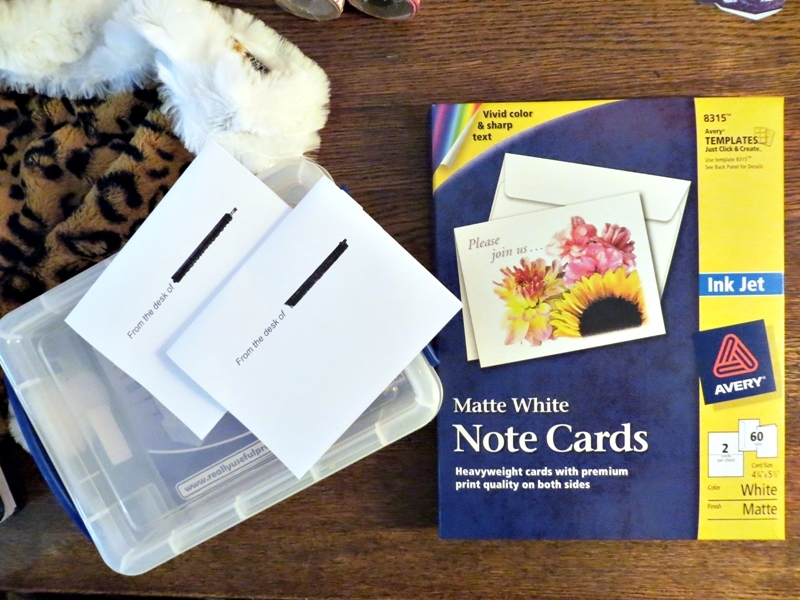 A bigger gift is a stationary box with personalized note cards. 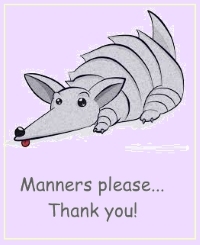 Yes, I’m encouraging good manners, but I also hope he gets into letter writing. He’s a very organized little guy – I think he’ll enjoy this. I created the design on Avery’s site, super easy. 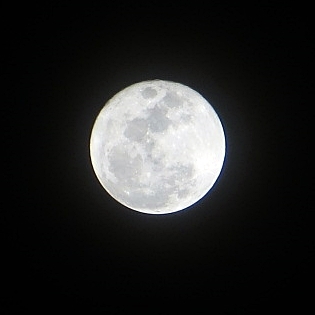 I got such helpful tips in response to my Christmas Eve attempt to capture the full moon. So – I put a little work into it and went back out on Christmas night. Ta da! I got some great pics of the moon. Thank you! 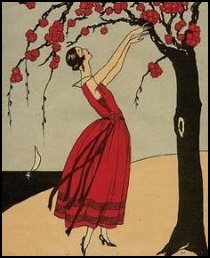 Well, I have to admit that I’ve taken note of all the Lady Skater and Moneta knit dresses running around out there. 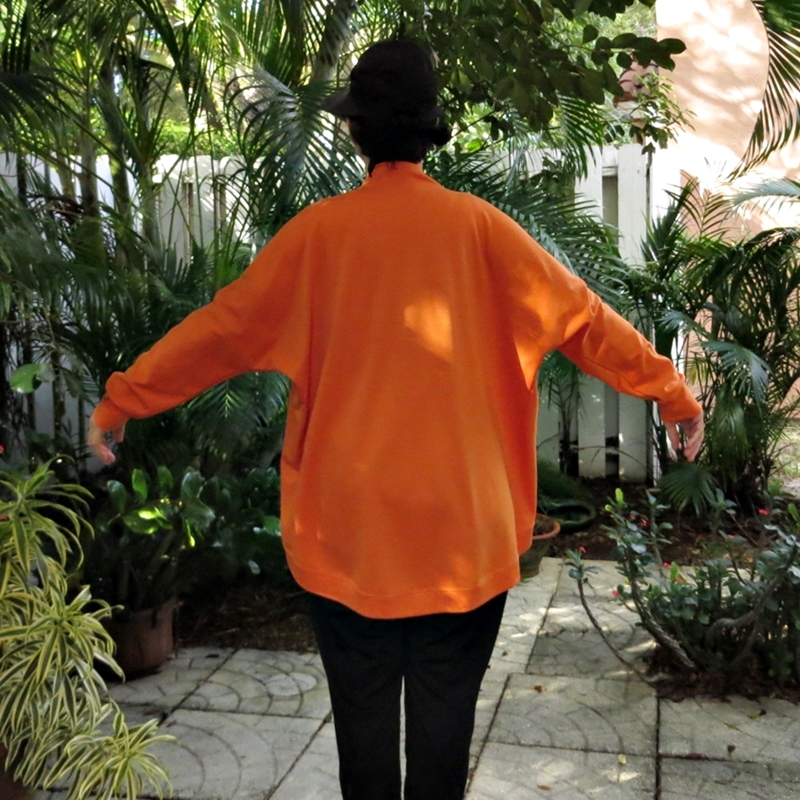 With elbow or 3/4 length sleeves, natural waists, gathered skirts – it’s a great look. 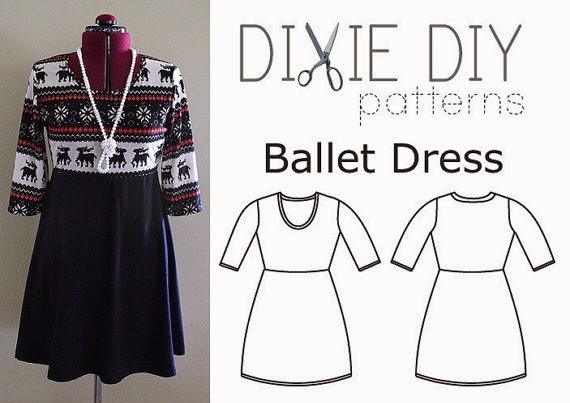 But the pattern that really caught my eye is the Ballet Dress by DixieDIY. It’s not a new pattern by any means. Dixie first released it in 2011. And she revised it in 2013, to address suggestions from fellow sewists: she lengthened the bodice and skirt, and narrowed the sleeves. I think the reason I like the look of this pattern best is the neckline. 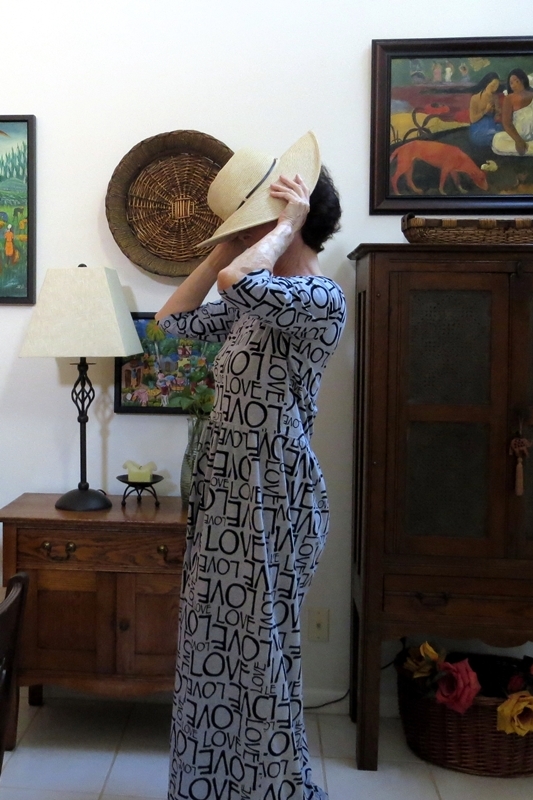 It’s a little higher and rounder than the others, and it balances the longer sleeves and bodice really nicely. I’m not planning to wear a short circle skirt any time soon 🙂 but doing a change-up on the skirt was easy. 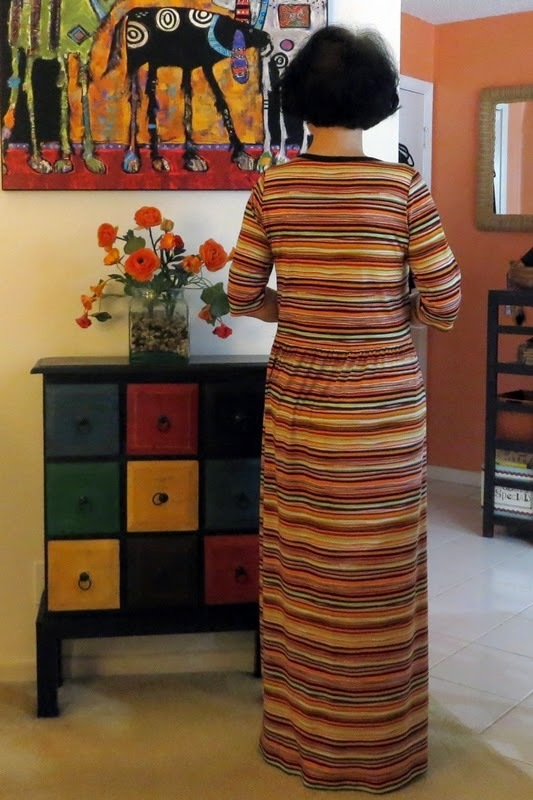 The skirt is simply two 27″ x 44″ rectangles! 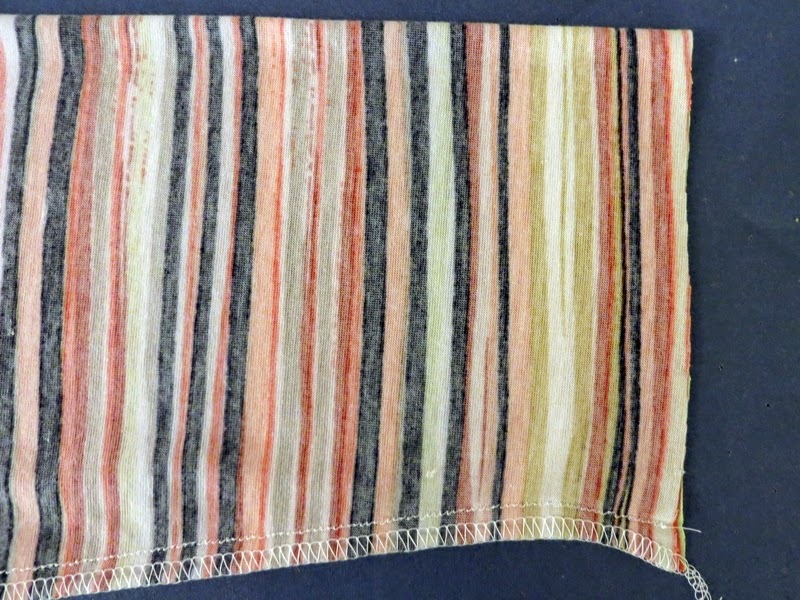 The hard part was matching these crazy thin stripes. I found that the only sensible – if kind of tedious – way to do it was by basting my fabric selvages together before laying out the pattern. I was working with 3 yards of fabric! so I did cut out lengths approximate to the bodice and skirt requirements first. 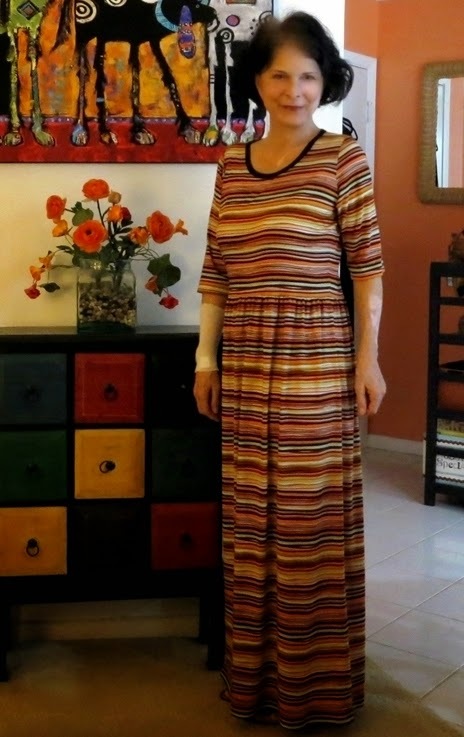 I drafted my tissue from the size Medium, but took the curve out of the bodice side seam – I simply dropped the side straight down from armhole edge to the bottom of the bodice. This increased the waist width to 34″ and added just a little ease to the bust. I also added 2 1/2″ to the length of the bodice, front and back. 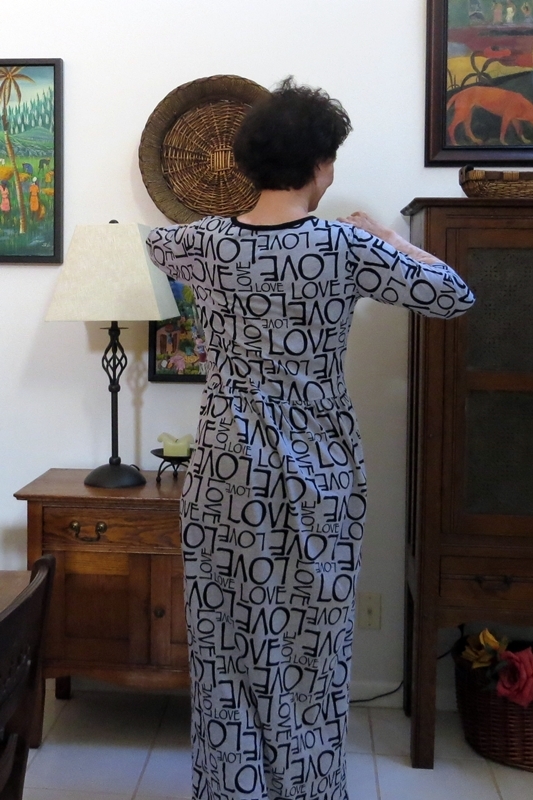 And lowered the back neckline by 1/2″. 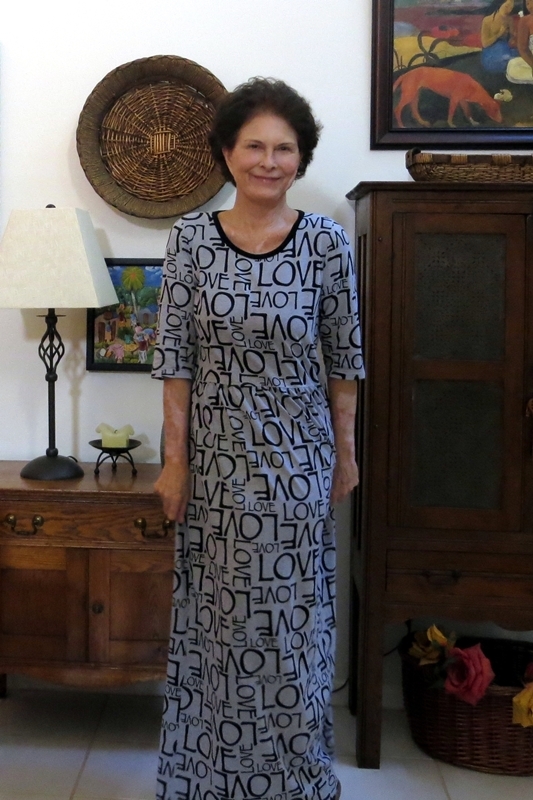 At 14″, the sleeves are by no means 3/4 length on me, but I decided not to lengthen them. If you want a true 3/4 sleeve, you might want to check this measurement. 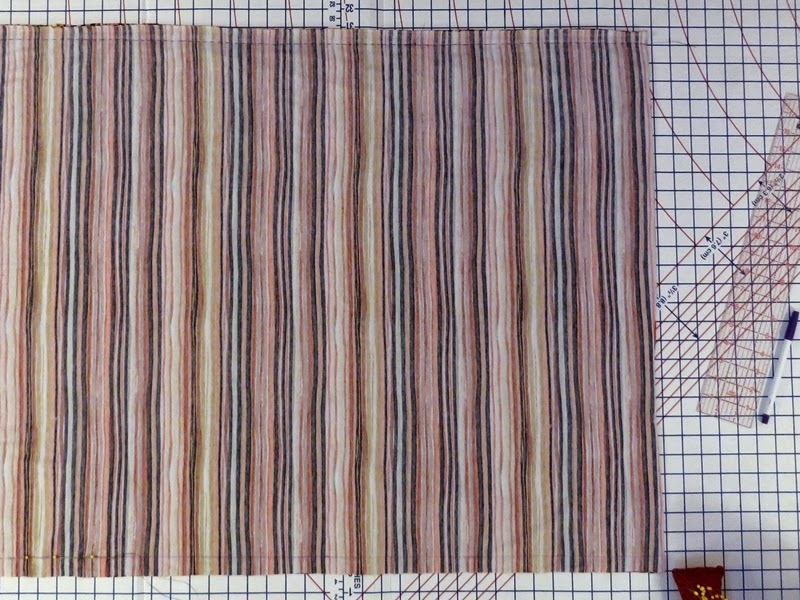 To keep those stripes lined up, I hand-basted all my seams before sewing them on the machine. 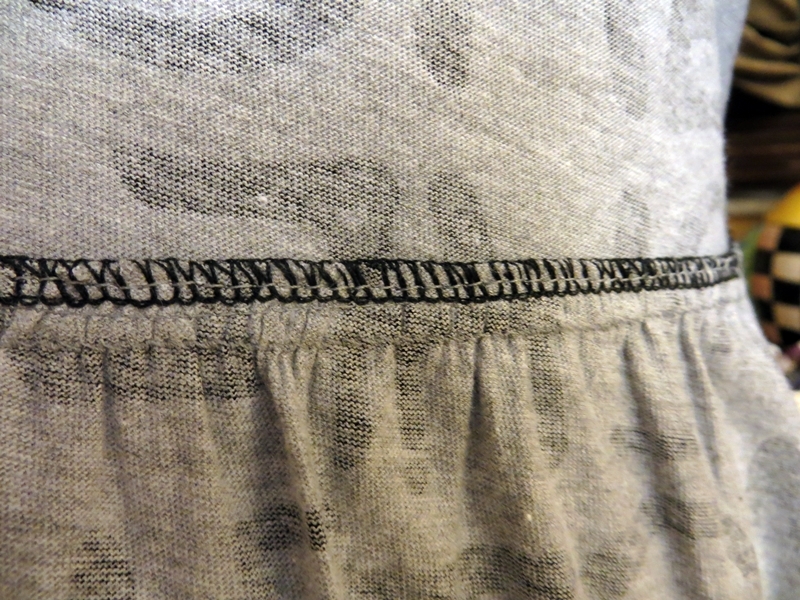 Then I used an elastic (lightning) stitch for the seams, followed by a serged finish for the seam allowances. 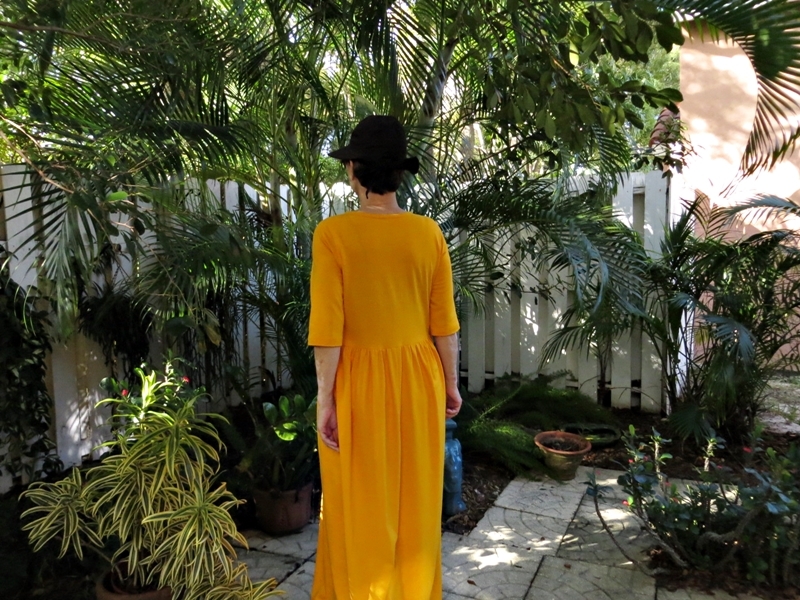 I used the same approach on the waist seam, gathering the skirt and basting it to the bodice before going to the machine. The result is very elastic, but sturdy enough to support the skirt without additional stabilization. I know that some patterns suggest using elastane tape on the waist seam, but I’m allergic to it. I’m glad this worked without it. Also glad I remembered to cut the sleeve hem allowance on an angle to mirror the sleeve. 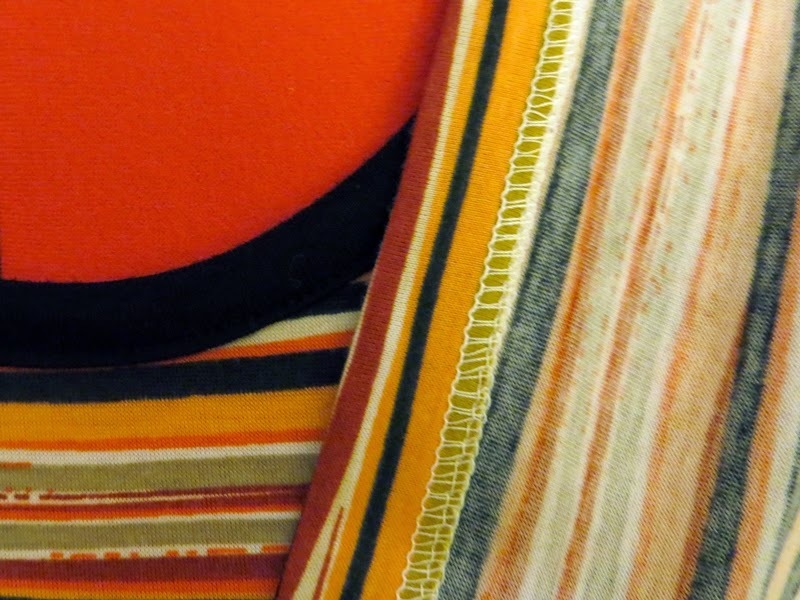 It always amazes me when a pattern doesn’t incorporate this simple detail. Speaking of hems…for this fabric, I serged the edge, turned up a 1 1/4″ hem, and topstitched just inside the serging with a straight stitch. Instead of using an attached band ‘collar’, I applied binding to the neckline. 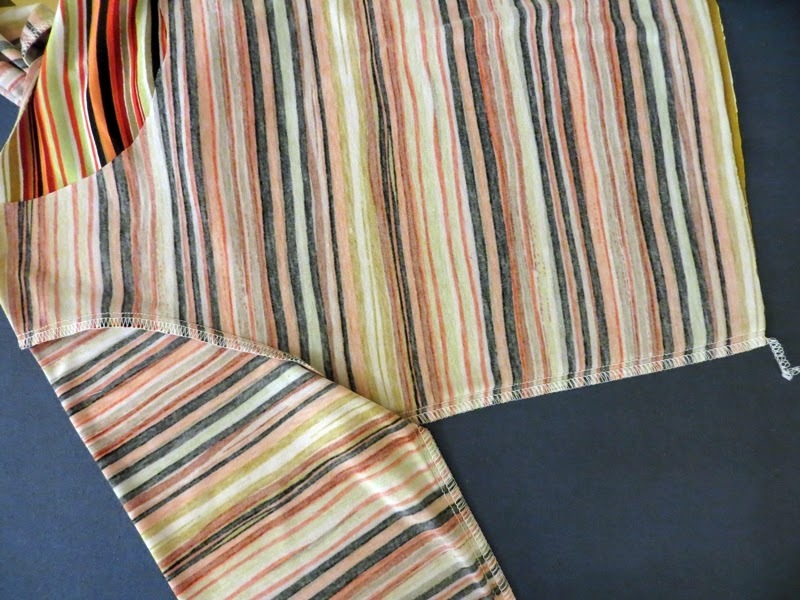 This is just a piece of cotton/rayon jersey from the stash, cut across the stretch of the fabric. I love this dress. It fits really well and feels wonderful!